Anyone who uses their smartphone to track their sleep patterns and get woken up by a “smart alarm” that rings off in just the right time is probably familiar with Sleep as Android. It's one of the most popular smart alarms available in the Play Store as it offers a multitude of useful functions and links to a lot of different wearable devices. With health apps being the latest craze for developers, it's only natural that stock solutions provided by manufacturers will also offer sleep tracking and / or logging. Such is the case with Samsung's S Health app, which allows users to connect it to Sammy-made wearables and automatically log their sleep. That is – as long as said wearables are running Samsung's Tizen, or other such specialized software, but so far – no Android Wear support. Well, if you want to keep using Sleep as Android with its Wear support, but want to get your sleep data in S Health automatically – instead of having to punch it in manually, as if you are in the Stone Age – you can. 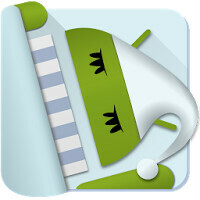 Sleep as Android integrates naturally with S Health. Additionally, the smart alarm may be great at tracking sleep cycles, unfortunately, it's not good at detecting if you are actually awake. That period between 3 am and 4 am when you got up and were pacing around the house is likely to be written off as a “light sleep” moment, instead of actually being awake. This problem is quickly remedied when you link the app to Google Fit, however. Fit will actually be aware of the fact that you were “active” in that period and it will communicate that to Sleep.